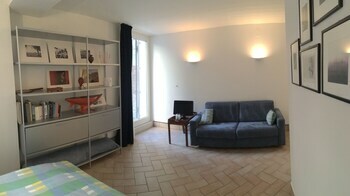 With a stay at this apartment in Venice (Cannaregio), you'll be minutes from Campo dei Mori and Ca' d'Oro. With a stay at this bed & breakfast, you'll be centrally located in Venice, steps from Ca' Rezzonico and 6 minutes by foot from St. Mary of the Friars. Located in Furci Siculo, B&B Il Sole Nascente is a 3-minute drive from Strait of Messina and 6 minutes from Literary Park Salvatore Quasimodo. Free self parking is available onsite. With a stay at Otium Mecenatis Apartments in Rome (Monti), you'll be steps from Colosseum and 9 minutes by foot from Basilica di Santa Maria Maggiore.